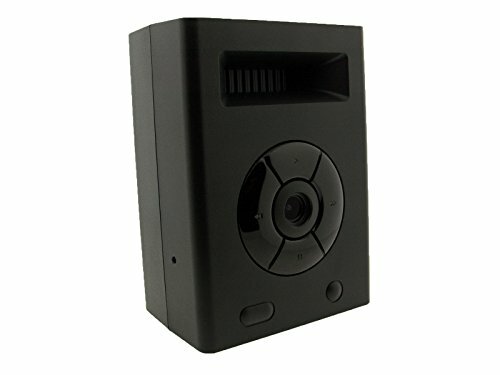 The Smart Sensor This intelligent PIR motion sensor is the perfect addition to your home security system. With 3 different mounting brackets, a 110-degree spread and a 90-degree look down angle, you can cover a wide space without alerting an intruder to its presence. And, with the tamper-resistant feature, if it is discovered and destroyed, you'll still be alerted. Easily place multiple PIR sensors and sync them with your Go!Control Panel for complete home protection. Another great feature of the Passive Infrared Motion Detector is its pet immunity feature. If you're worried about your dog or cat tripping the alarm, simply adjust the sensor and it will ignore moving objects up to 33 or 55 lbs. based on settings. MORzA: Wireless Security and So Much More MORzA by BrickHouse Security is a fully customizable home security, alarm and automation system that can be optimized to meet your specific needs. Customize your system so you only have the components you need and nothing you don't. Call (800) 654-7966 today for a personal consultation with one of our security experts. Always On Alert The Wireless Carbon Monoxide Detector is an essential component to any home alarm system. Be notified immediately in the event that your air quality becomes tainted with carbon monoxide. Not only will this intelligent alarm sound out with its built-in 85-decibel siren, but you will be notified via text or email through the Go!Control Panel. This Carbon Monoxide Detector features a tamper-protected case and includes a lithium battery. Low-battery and end-of-life alerts ensure that the detector is always on alert. MORzA: Wireless Security and So Much More MORzA by BrickHouse Security is a fully customizable home security, alarm and automation system that can be optimized for your unique needs. Choose only the features and service you need to save money and streamline your system. Call (800) 654-7966 today for a personal consultation with one of our security experts. The Only Way to Protect Your Driveway Keeping your home secure has never been easier than with MORzA by BrickHouse Security, and this driveway sensor is a perfect example as to why. While most driveway sensors demand complicated installation, sometimes requiring digging up your whole yard, this wireless sensor sets up in minutes, no shovels necessary. Not only can this sensor detect a car up to 15 feet away, but it's immune to both weather conditions and wildlife, so you'll never receive a false alarm. And, because it syncs to your Go!Control Panel, it can be set to alert you directly on your smartphone if your driveway is breached. MORzA: Wireless Security and So Much More MORzA by BrickHouse Security is a fully customizable home security, alarm and automation system that can be set up according to your individual needs. Contact one of our security experts and save; don't pay for anything you don't need, and receive discounts when you bundle certain products and services. Call (800) 654-7966 today for a personal consultation. Teach an Old Appliance New Tricks This easily installed Wall Mounted Outlet syncs with your Go!Control Panel using z-wave communication. After that, anything you plug into the outlet can be controlled directly from your PC, smartphone, or control panel. Set your coffeemaker to turn on at a specific time every morning, or remotely shut off your iron if you're worried that you left it on after leaving the house. The possibilities are limitless with this affordable home control device. MORzA: Wireless Security and So Much More MORzA by BrickHouse Security is a fully customizable home security, alarm and automation system that can be set up according to your individual needs. Contact one of our security experts and save; don't pay for anything you don't need, and receive discounts when you bundle certain products and services. Call (800) 654-7966 today for a personal consultation. The Intelligent Alarm Instead of alerting you only in the event of a fire, the Wireless Smoke/Heat/Freeze Detector also responds to extreme cold, notifying you if your pipes are at risk of freezing -- or if your family pets are in danger. Easy to install, this smart detector works seamlessly with your BrickHouse MORzA System. Not only will a temperature or smoke-based event trigger your alarm system, but if you're away from home you'll receive a text or email alert notifying you that your home or business is in potential danger. The Wireless Smoke/Heat/Freeze Detector also includes a self-contained sounder, so if it's installed far away from your Go!Control Panel you'll still hear the alarm. MORzA: Wireless Security and So Much More MORzA by BrickHouse Security is a fully customizable home security, alarm and automation system that can be set up according to your individual needs. Optimize your system so you only have the elements you need and nothing you don't. Call (800) 654-7966 today for a personal consultation with one of our security experts. Having a Schlage Z-Wave Lever Lock gives you complete peace of mind for your home or business. This Lever Lock, along with a MORzA account, allows you to control your locks in two ways:1. Program up to 19 private, four-digit codes for your family to use at the door. You can even be alerted via text or email when the codes are used, so you'll always know who is or isn't home. In addition, you can set temporary codes for guests and recurring codes to regularly let someone in, like a housekeeper, for example. Remotely add, change or delete the codes at your discretion. 2. Remotely grant access to your home or business when you cannot be there from any PC, tablet or smartphone. By pairing the Schlage Z-Wave Deadbolt lock and MORzA's home automation functionality, youll know exactly who's entering or exiting your home or business directly on your smartphone. When you need to let someone in but cant be there to do it, you can grant entry remotely from anywhere you are, and get an instant text or email notification when anyone accesses your door. With this lock, you can grant access in two ways:1. Program and assign up to 19 private, 4-digit codes for family members to punch in at the door. You can even set up one-time codes for guests, or recurring codes for housekeepers or caregivers.2. When youre not home and need to let someone in, activate your deadbolt from your computer, tablet or smartphone; that person can now manually turn the bolt and unlock the door.The Schlage Z-Wave Deadbolt lock is simple to install and setup, has a 3-year battery life which you can monitor online or on the lock itself, and can be lit for nighttime use. Choose the color and finish of their Schlage Z-Wave Deadbolt lock to fit the color and style of their home. Light Years Beyond Standard Switches The Z-Wave 3-Way Wall Dimmer/Switch makes your old light switch seem like a relic of the past. After easy installation, this smart switch syncs with your Go!Control Panel, allowing you to control your home's lighting directly from your PC, smartphone, or the control panel itself. Set schedules so your lights come on at a certain time, or to deter criminals when you're out of town. You can connect up to 3 other z-wave-enabled devices to be controlled by this switch, too; turn lamps and other appliances on and off right from this smart switch. As an added bonus, this unit also acts as a wireless repeater, extending the range of your control panel's communication with other z-wave-enabled devices. MORzA: Wireless Security and So Much More MORzA by BrickHouse Security is a fully customizable home security, alarm and automation system that can be set up according to your individual needs. Contact one of our security experts and save; don't pay for anything you don't need, and receive discounts when you bundle certain products and services. Call (800) 654-7966 today for a personal consultation.